Two trains have been hired by the Andhra Pradesh government for over Rs 1 crore for the purpose of holding an agitation in Delhi. 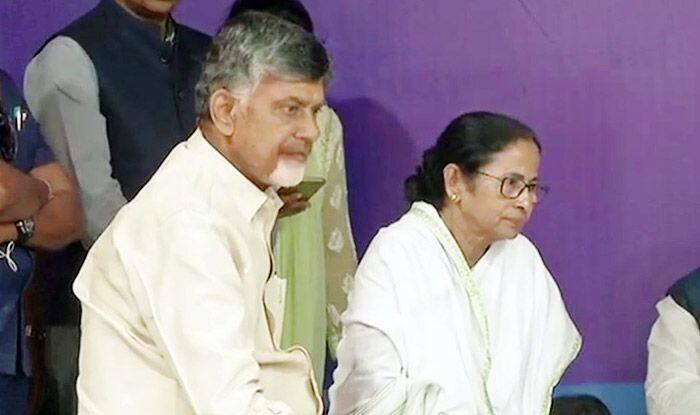 New Delhi: Andhra Pradesh Chief Minister Chandrababu Naidu and West Bengal Chief Minister Mamata Banerjee have planned to carry out a string of protests against the Narendra Modi government from Monday onwards in the national capital, stated a report. With the last session of the 16th Lok Sabha coming to a close next Wednesday, the protests are likely to erupt in Delhi ahead of Lok Sabha Elections 2019. Naidu is expected to perform a day-long dharna (sit-in) with his party colleagues at the Andhra Bhavan premises. His protest is aimed at attaining ‘special status’ for Andhra Pradesh and is against the alleged non-cooperation of the Central government in fulfilling Andhra Pradesh Reorganisation Act. Meanwhile, Banerjee is scheduled to protest on February 13 and 14 after the proposed ‘dharna’ by Naidu. Her protest is aimed at the Centre is an issue of ‘attack on federalism,’ stated a report by the Times of India. On February 5, the West Bengal chief minister called off her ‘Save The Constitution’ dharna against the CBI for attempting to question the city police chief in ponzi scam case, calling it a “victory of the Constitution and democracy”. Meanwhile, two trains have been hired by the Andhra Pradesh government for over Rs 1 crore for the purpose of holding an agitation in Delhi. The trains are scheduled to commence operations from Anantapuram and Srikakulam.